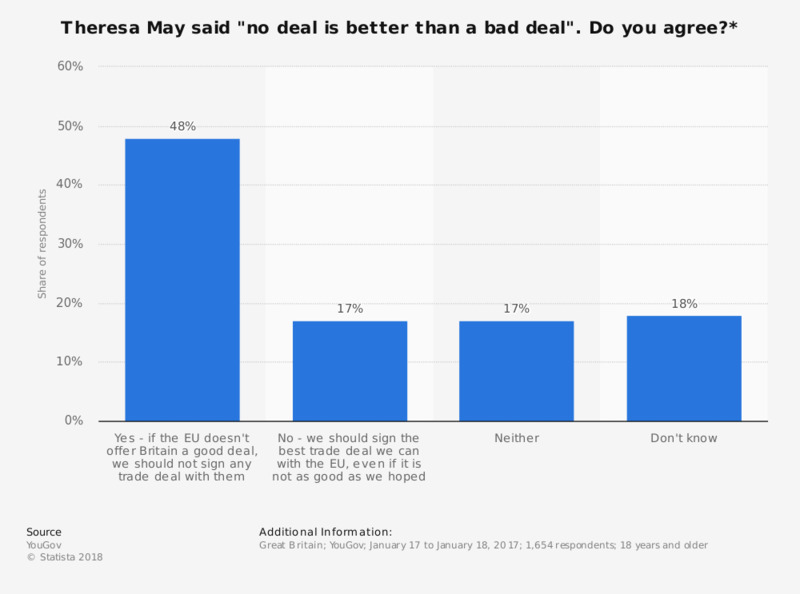 This statistic shows results from an online survey conducted in Great Britain in January 2017 on whether there should be new trade deal after Brexit even if the conditions are not the best for Britain. From the respondents, 48 percent thought that Britain should not sign a deal that is not optimal. Theresa May also said that "no deal is better than a bad deal". Which of the following best reflects your view? Do you think the other member states of the European Union will or will not agree to the sort of Brexit deal that Theresa May is proposing?